Bend Oregon has such great outdoor spaces that it takes much space to discuss them! We were lucky to have a friend come stay with us & show us some of his favorite places. We had a volcano/beer theme for the weekend. First main stop was the Dee Wright Observatory -an open shelter built with lava stone found at the construction site. The viewing windows are cut to specifically highlight the neighboring mountains. 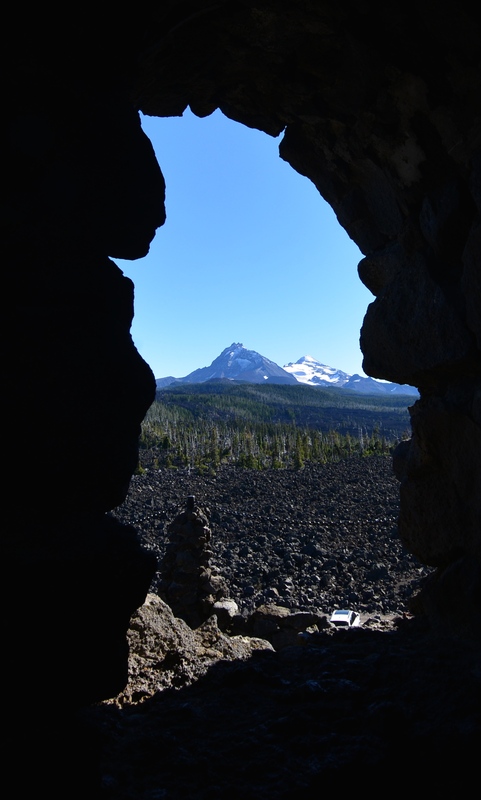 These “lava tube” viewing holes allow visitors to easily identify the different Cascade peaks. The observatory is a clever structure built to highlight the Cascade peaks in the area – the lava rock reminds you of the surrounding terrain. There is also a 36 inch (90 cm) diameter, bronze peak finder on the observatory’s roof to help visitors locate nearby geologic features as well as the surrounding mountain peaks. From the top of the observatory, visitors have a panoramic view of the Cascade Mountain Range including Mount Hood. Many peaks can easily be seen from Dee Wright Observatory: Mount Jefferson, Cache Mountain, Dugout Butte, Black Butte, Bluegrass Butte, Black Crater, North Sister, Middle Sister, Little Brother, Condon Butte, Scott Mountain, South Belknap Cone & Crater, Little Belknap, and Mount Washington. Mount Hood, Bald Peter, Green Ridge, and Horsepasture Mountain can also be seen from the observatory during good weather. 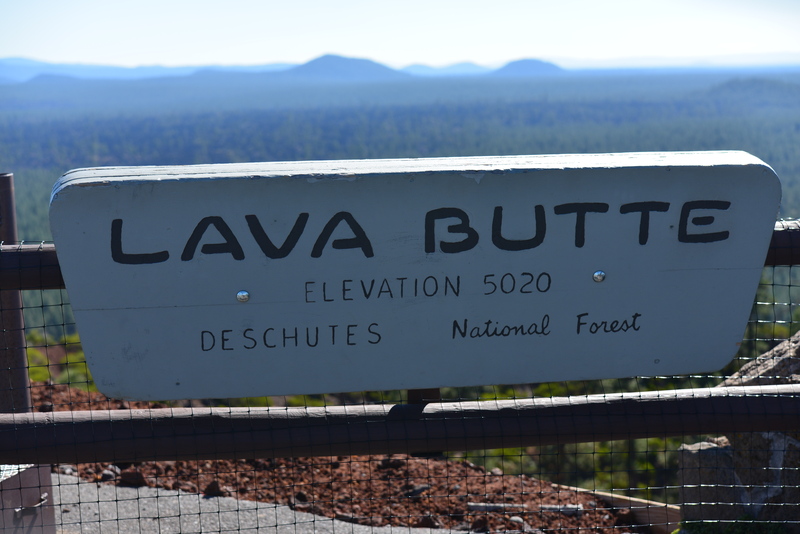 The half-mile long Lava River Interpretive Trail begins at the observatory, and takes visitors on a 30-minute walk through lava beds. The trail is paved and easy to follow. Interpretive panels, located along the trail highlight the geology of the area. The trail also offers open vistas of the surrounding landscape. McKenzie Pass follows the path of an 1860 wagon route. The route emerges from the forest and crosses a 65-square-mile (170 km2) lava flow. 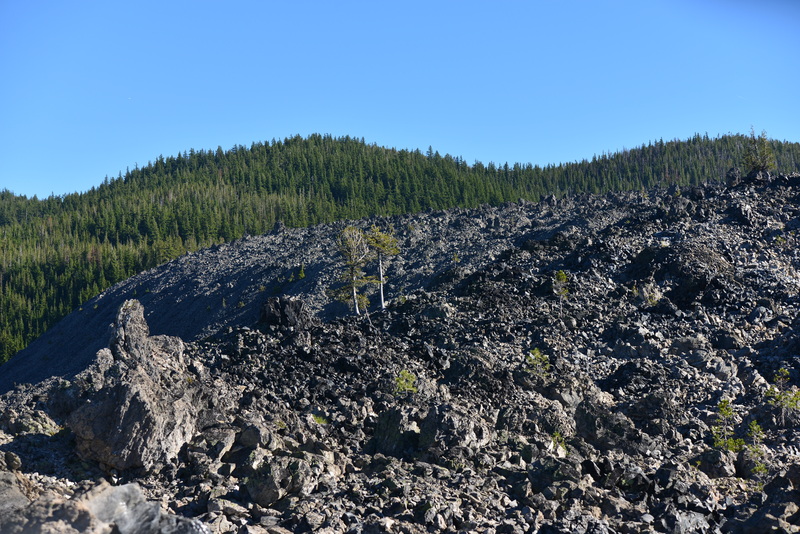 At the summit, the wagon road had to be cut through the lava beds. As a result, alternate routes over the Cascades were used by most early travelers. 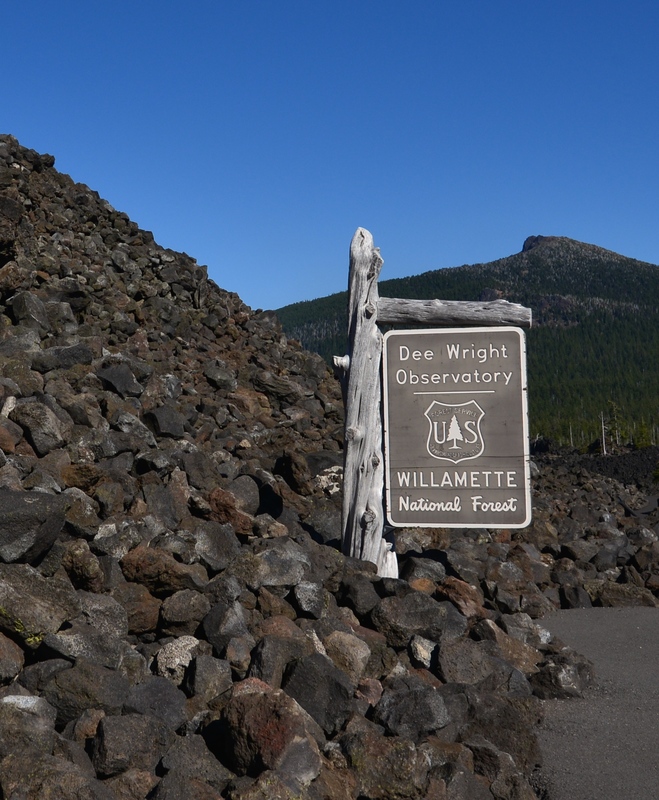 Today’s highway follows the wagon route over the lava beds past the observatory site. The observatory was built by the Civilian Conservation Corps at Camp Belknap near Clear Lake. 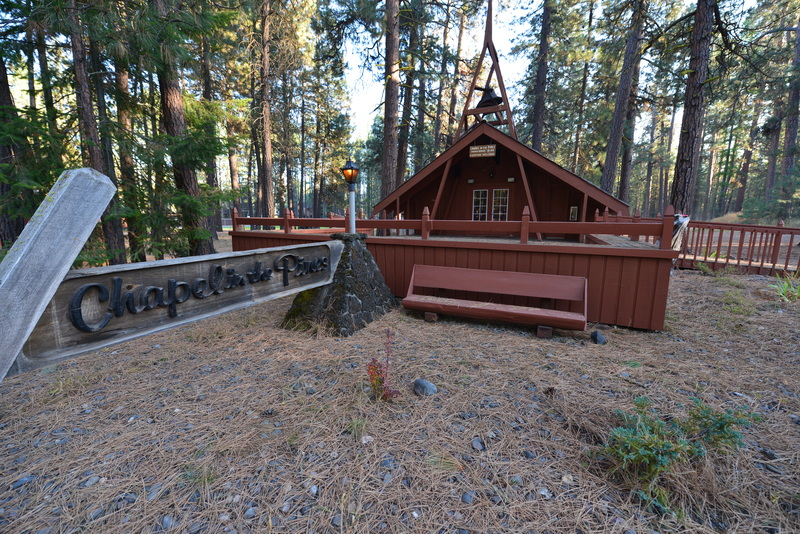 It was completed in 1935, and named for the construction crew’s foreman who had died the previous year after serving 24 years as a Forest Service Packer and crew foreman at Camp Belknap. In addition to Dee Wright Observatory, the rough-hewn timber shelter built by the Civilian Conservation Corps at Camp Belknap still stands near the beautiful Clear Lake. Access via McKenzie Pass follows the path of an 1860 wagon route. 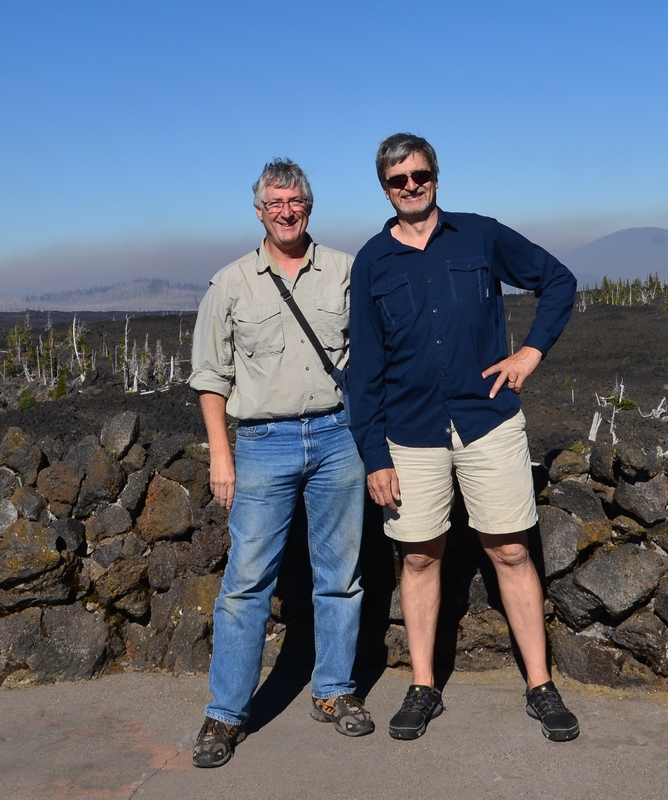 Our next big stop in the area was the Newberry National Volcanic Monument – conveniently located off of Route 97. 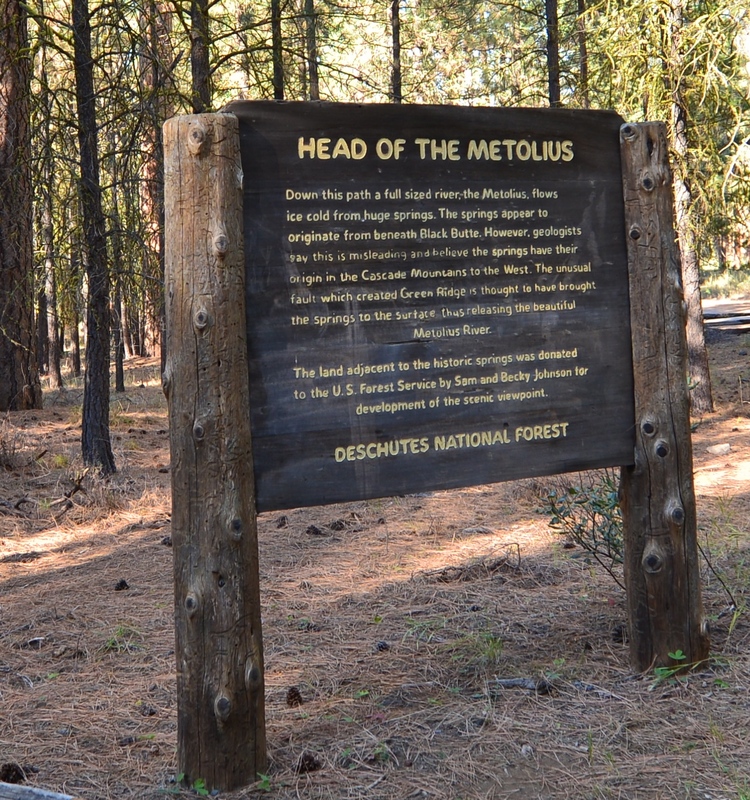 Designated on November 5, 1990, to protect the area around the Newberry Volcano in the United States – within the boundaries of the Deschutes National Forest. 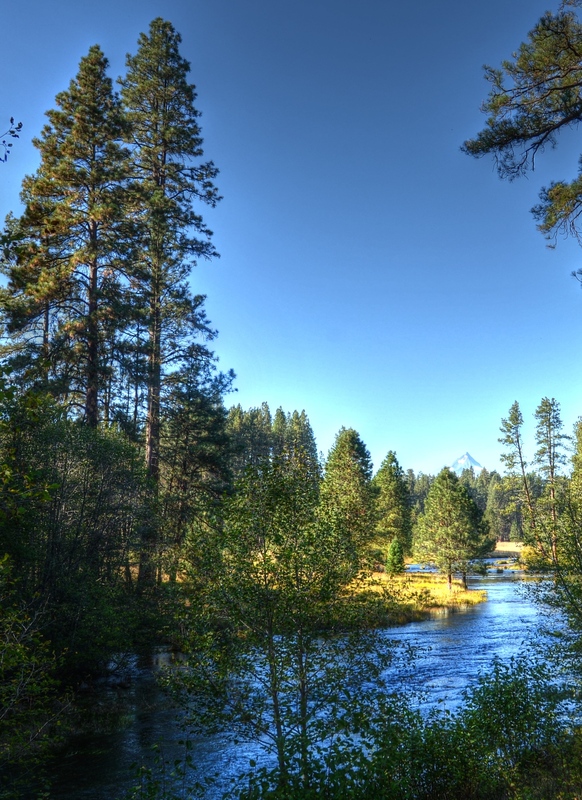 It includes 50,000 acres of lakes, lava flows, and spectacular geologic features. The highest point within the monument is the summit Pauline Peak with views of the Oregon Cascades & and the high desert. 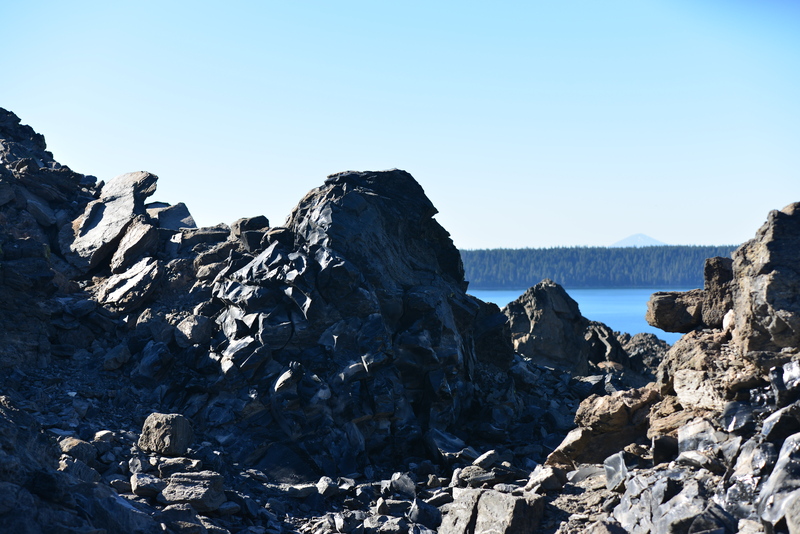 The summit area of Newberry Volcano holds two alpine lakes: East Lake & Paulina Lake. Lava Butte is a 500-foot cinder cone located next to U.S. Highway 97 south of Bend, next to the Lava Lands Visitor Center. The amazing “Big Obsidian Flow” over 1,300 years old, covers 700 acres. The black, shiny is an amazing river of obsidian – a shiny black rock river the flows down hill and is open for exploration. Newberry is both seismically and geothermally active. Geologists believe the caldera sits over a shallow magma body only 2 to 5 kilometers deep. Visitors see numerous cinder cones (over 400 throughout the area), miles of basalt flows, as well as rhyolite flows of obsidian. 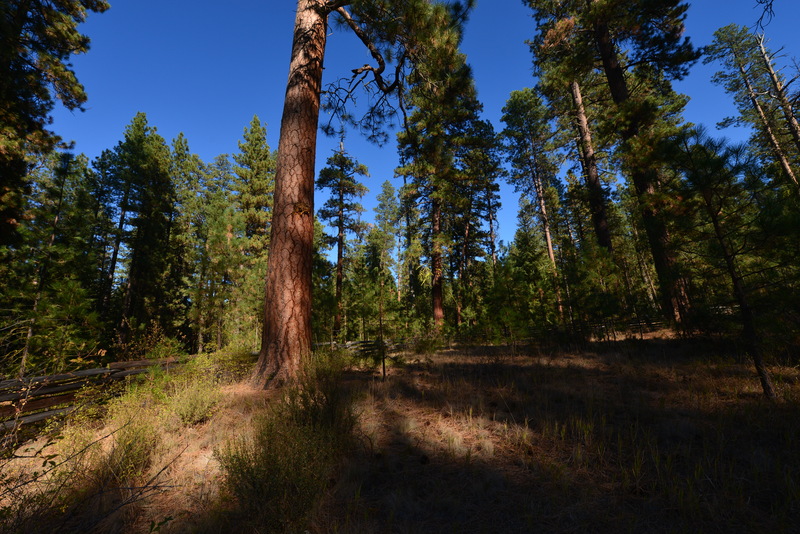 A great side trip was a visit to Camp Sherman – also part of the Deschutes National Forest. 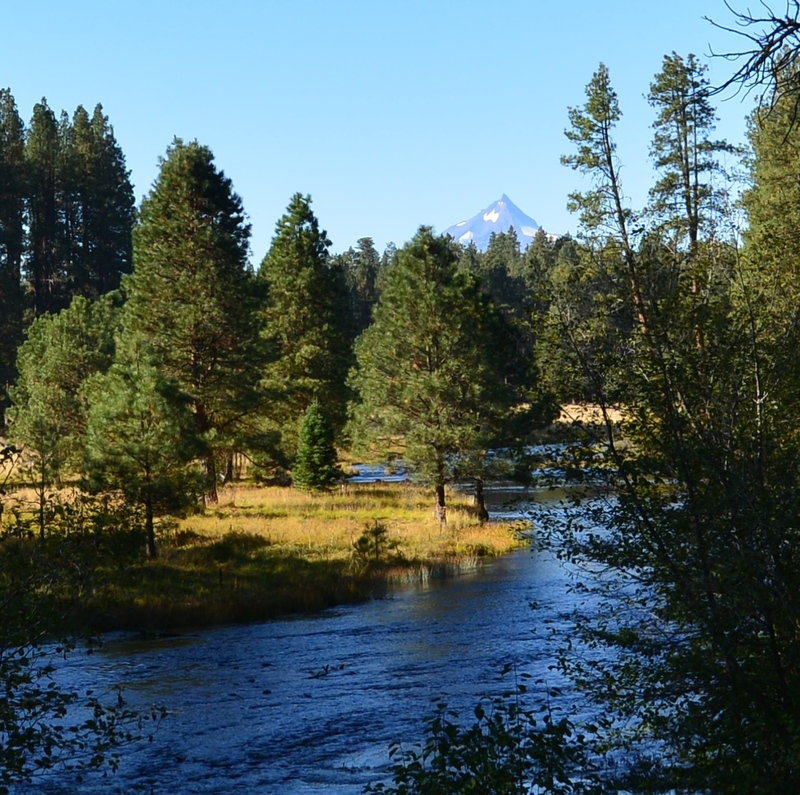 The Metolius River starts here – starting at Black Butte Springs. Camp Sherman was originally founded by vacationers from Sherman County in the latter part of the 19th century. Just another interesting slice of the great state of Oregon. PS Donald notes no mention of BEER in the original. We visited 10 Barrel (Don’s favorite beer courtesy Ranger Guy), the coolest brewery in Oregon Boneyard and a new favorite Crux. In addition to Sisters Brew. The roads there are among my favorite. Perfect motorcycle traveling. Such a clean and well taken care of area of Oregon.